This blog post is a summary of the webinar Percona Software News and Roadmap Update – Q1 2017 given by Peter Zaitsev on January 12, 2017. Over the last few months, I’ve had the opportunity to meet and talk with many of Percona’s customers. I love these meetings, and I always get a bunch of questions about what we’re doing, what our plans are and what releases are coming. I’m pleased to say there is a great deal going on at Percona, and I thought giving a quick talk about our current software and services, along with our plans, would provide a simple reference for many of these questions. A full recording of this webinar, along with the presentation slide deck, can be found here. To champion unbiased open source database solutions. What does this mean? It means that we write software to offer you better solutions, and we use the best of what software and technology exist in the open source community. We also have specialization options for PaaS, IaaS, and SaaS solutions like Amazon Web Services, OpenStack, Google Cloud Platform, OpenShift, Ceph, Docker and Kubernetes. Percona’s immediate business focus includes building long-term partnership relationships through support and managed services. The next few sections detail our current service offerings, with some outlook on our plans. Over the last six months, Percona has consistently maintained a 98% Customer Satisfaction Rating! Our expanded Customer Success Team is here to ensure you’re getting most out of your Percona Services Subscription. Consulting and Training. Our consulting and training services are available to assist you with whatever project or staff needs you have. Simplified Support Pricing. Get easy to understand support pricing quickly. +44 203 608 6727 (Europe), or have us contact you. Percona Memory Engine for MongoDB® is a 100 percent open source in-memory storage engine for Percona Server for MongoDB. 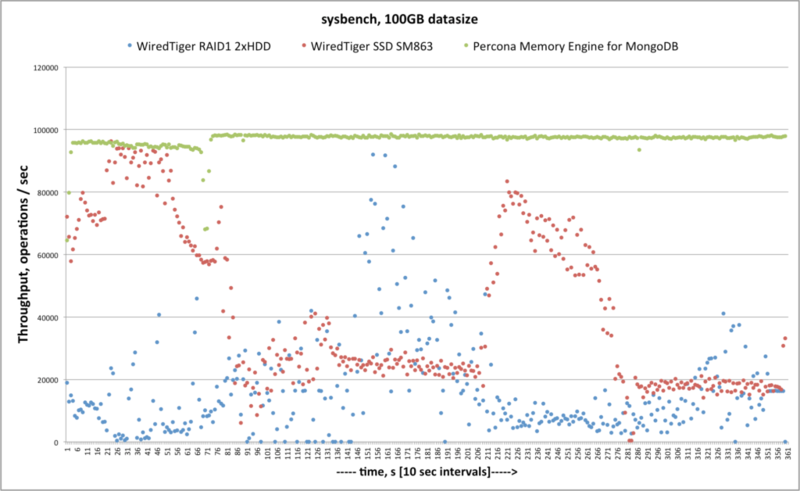 Based on the in-memory storage engine used in MongoDB Enterprise Edition, WiredTiger, Percona Memory Engine for MongoDB delivers extremely high performance and reduced costs for a variety of use cases, including application cache, sophisticated data manipulation, session management and more. 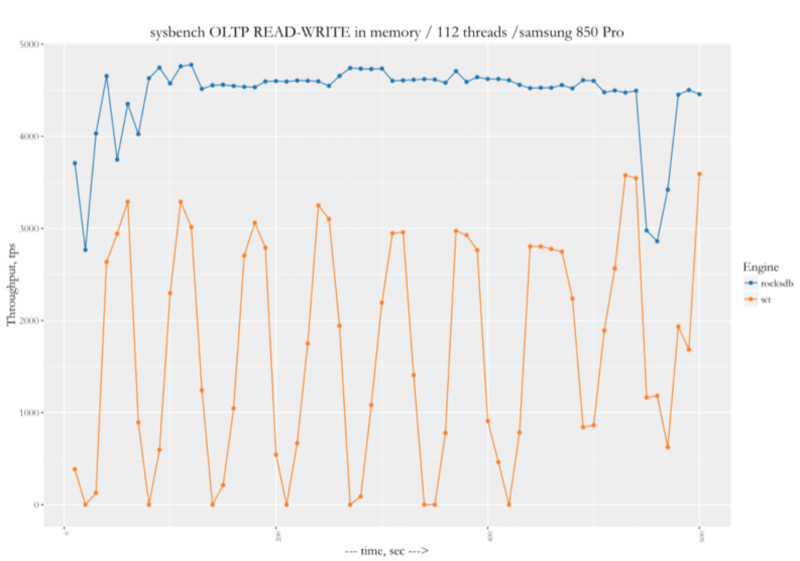 Below are some benchmarks that we ran to demonstrate Percona Memory Engine’s performance. 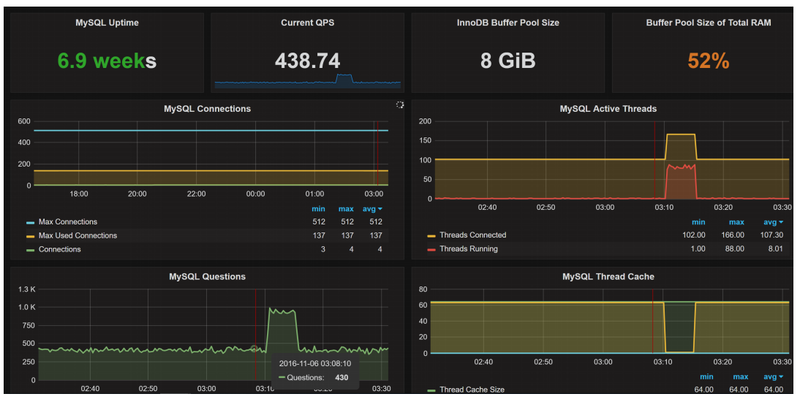 What queries are causing the load? Why are they causing this load? Percona Live Open Source Database Conference 2017 is right around the corner! Register now and get the early bird rate, but hurry prices go up Jan 31st. Sponsorship opportunities are available as well. Become a Percona Live Sponsor, download the prospectus here.